Based upon over 30 years of cosmetic research, Theraderma Skincare products are formulated with the highest level of non-prescription pharmaceutical grade ingredients. Instead of abrasive alcohol or unnecessary fragrances, Theraderma products contain soothing, healing Aloe Vera - to give you fast results without irritation - as well as vitamins and natural fruit acids to rebuild and refine your skin so that it glows. Worried about wrinkles, breakouts, dryness, redness, or age spots? 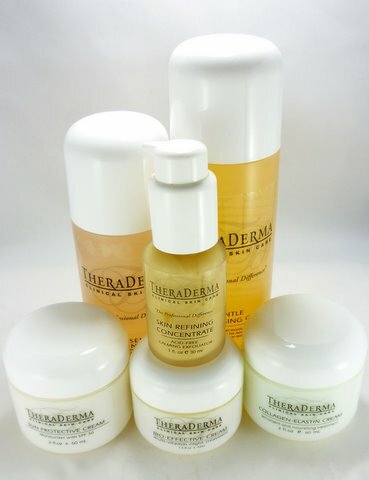 Theraderma Skincare has a product for every skin type, tone, and complexion. Best of all, it includes a personalized regimen that's designed just for you, monitored by licensed professional, Linda Hong, Clinical Skincare Specialist.